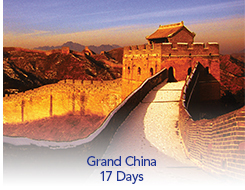 With this 17 day tour experience everything that China promises. You’ll feel the grandeur of the Great Wall, marvel at the intricacies of terra cotta warriors, cruise through the extraordinary Three Gorges, journey to a land where limestone peaks pierce the air and rice fields abound, and roam the streets of an ultra-modern city. As a guest of SITA, you will receive a personalized traditional signature stamp engraved with your name. The signature stamp has remained as a symbol of Chinese culture and the art of calligraphy. 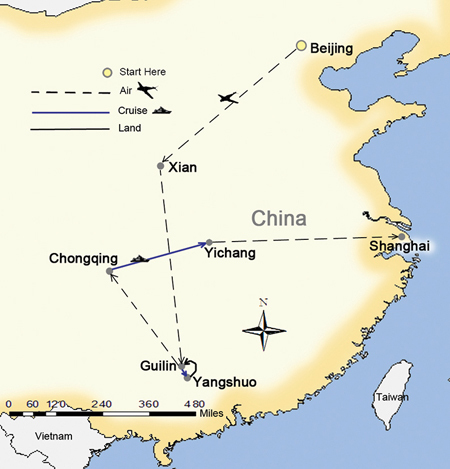 • 3 nights Yangtze Cruise with private balcony. • Visit to a local home.